Diwali- the festival of lights and celebration is the very widely celebrated festival in India. People belonging to different states and castes celebrate this festival with equal amount of amusement and delight. During the month of October, the excitement for the arrival of Diwali begins. There are loads of things listed in the check list- shopping new clothes and ornaments, decoration, lightening up the house, making rangoli, and to top the list, cleaning the home. It is believed that Goddess Lakshmi is attracted to bestow her blessings upon the families that have decorated their homes the best within the resources they could afford and what was available to them. 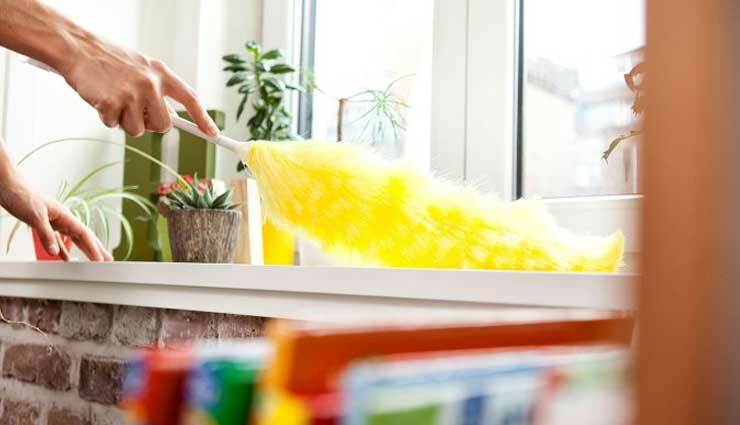 So it is essential to keep the home neat and clean, and through this, homes are somewhat renewed once in a year. * Throw away all the useless materials at home. They only occupy space and make an otherwise cleaner area look messy. * Lend the old clothes that you don’t wear to the poor so that there is room for new clothes you would buy. * Tidy up your wardrobes and shelves. Unnoticed corners are usually dusty. Do not miss them out. Wipe them clean. * People tend to paint their homes in Diwali. If that’s your plan too, cover your furniture and usable properly so they do not get stained with paint. Unwrap the furniture once you’re done painting. * Then the normal cleaning is required. Like dusting, sweeping the floor, giving the old dusty show-pieces their luster back, replacing the old bed-sheets with the new ones, etc.